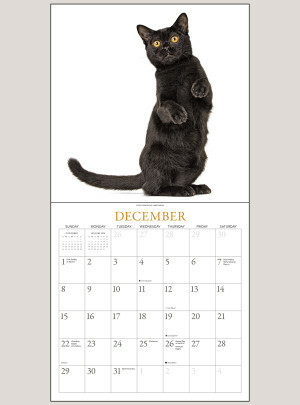 Unlucky? 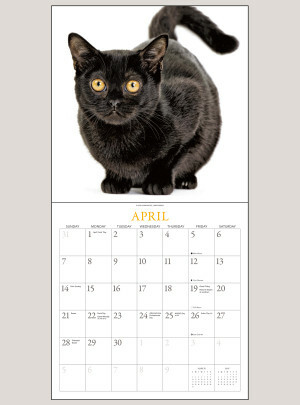 Unthinkable! Black cats certainly lucked into a beautiful-sounding name in French: chat noir. 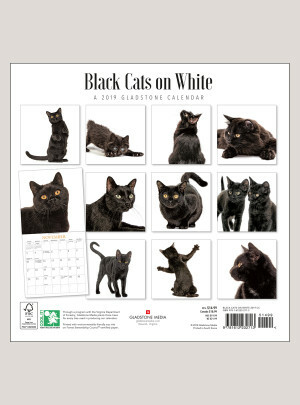 And their matching beautiful looks truly stand out against white backgrounds in the Black Cats on White calendar. 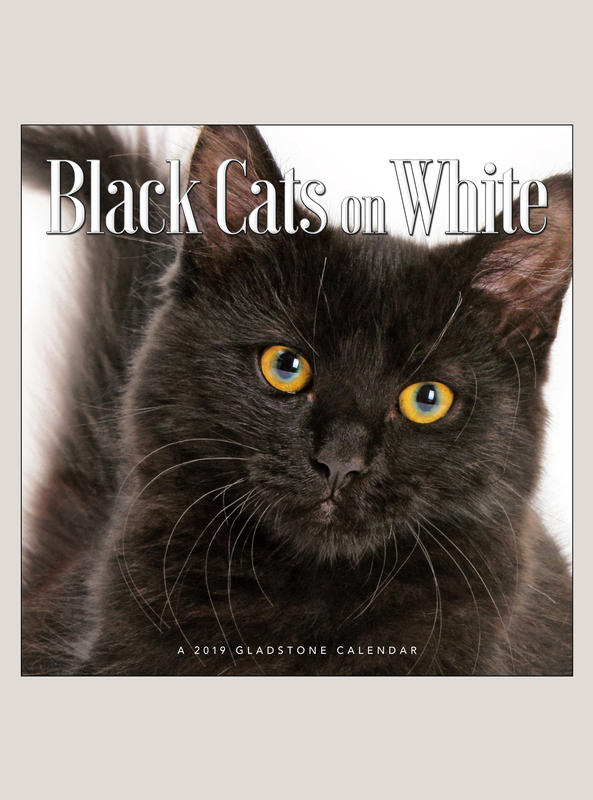 Delight in the sleek fur, sinuous outlines, and compelling, luminous eyes of a different feline on each page. 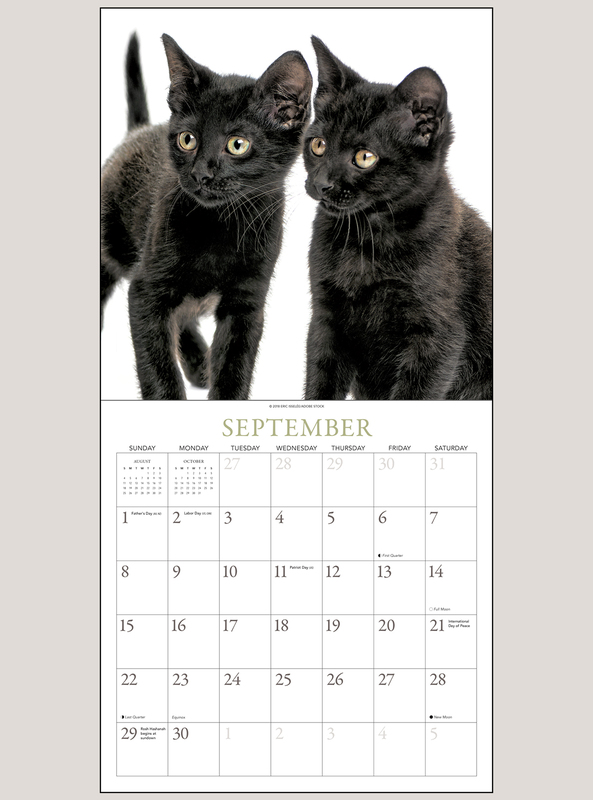 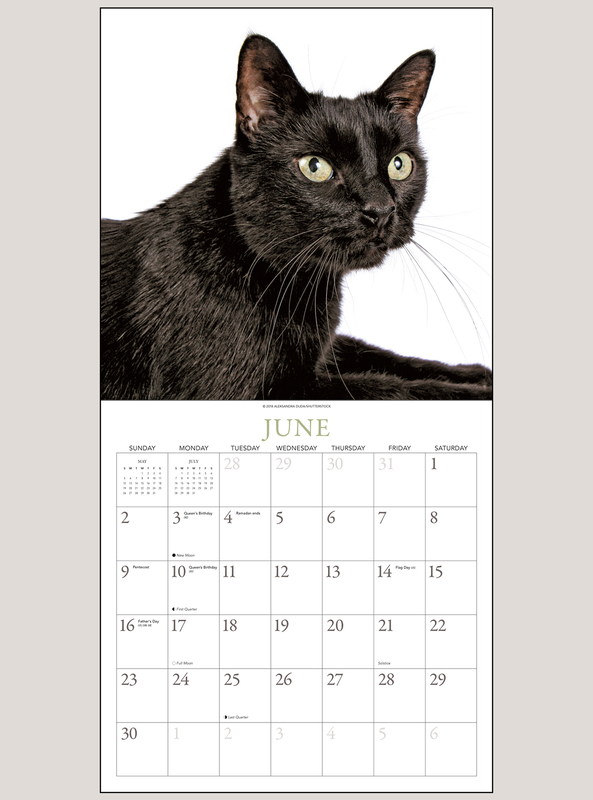 My wife, our black cat and I really enjoy the the yearly Black Cat calendar.